Despite the sophistication of today’s computers and accounting software, the basic payroll process remains almost the same as it was decades ago. Very few businesses still record and process payrolls by hand, but it’s essential for any business manager to understand how the payroll process works to properly control labor costs and resolve potentially costly problems. This is true even if you outsource your payroll operations, a popular alternative. The payroll process begins with recording the time employees put in on the job. This can be as simple as a handwritten time sheet or involve the use of computerized time clocks that relay the data directly to a computer that will process the payroll. Before further payroll processing can begin, new employees or those whose status has changed must fill out a Form W-4 for withholding exemptions. The employer gathers all of the employee time records at the end of the pay period, which may be weekly, biweekly or some other period). 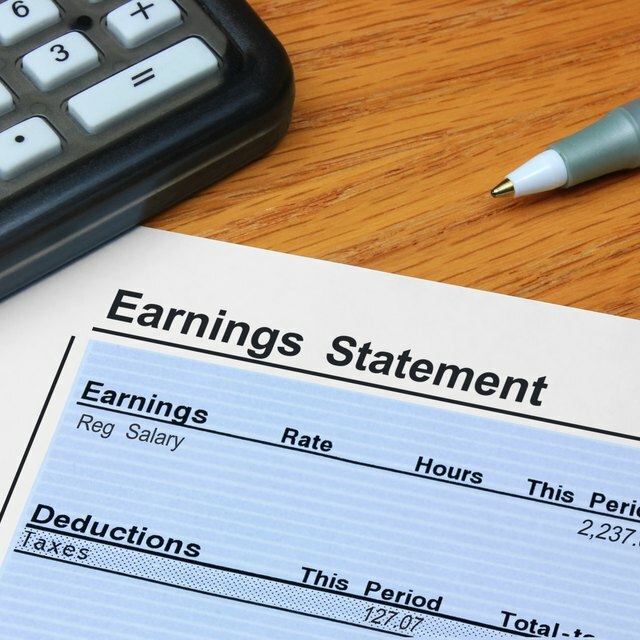 The first step in calculating payroll is to find an employee’s gross wages, which may be as simple as adding up the hours worked and multiplying by the person’s rate of pay. Adjustments may be needed to include overtime, commissions, tips and other compensation. Compensation for business-related expenses, such as mileage reimbursements, are often included in an employee’s paycheck after calculating the pay, because these reimbursements are not subject to taxes. The next step is to figure an employee’s withholding allowance. To do this, you need the employee’s W-4 and IRS Publication 15 Circular E. The wages subject to federal income tax is the gross pay minus the total amount of withholding exemptions. The most complicated part of the payroll process is calculating taxes. For payroll purposes, taxes fall into two groups: those that the employee pays and are deducted from the gross pay and those that employers pay. Employees pay three federal taxes: income tax, Social Security, and Medicare. Complete instructions for calculating these taxes are found in IRS Publication 15. In most states, there is also a state income tax. Instructions for state taxes are available from the state's Department of Revenue or Taxation. Employer-paid taxes are the employer’s contribution to Social Security and Medicare, the federal unemployment tax and state unemployment tax -- FUTA and SUTA. Use IRS Publication 15 to calculate these. FUTA and SUTA taxes must be figured together because there is a credit on FUTA for SUTA paid. The final state of the payroll process is to actually pay the employee and to remit taxes. Making payroll checks is fairly simple. The check itself is much like any other check. However, paychecks come with a payroll stub, which is a written listing of the wages, taxes and any other deductions or adjustments. The payroll stub, filled out with each item and year-to-date totals, is given to the employee for his records. It is always wise to review paychecks before distributing them, since mistakes can be costly. For example, you don’t want to find out a missed keystroke caused a $3,000 paycheck to be issued when the correct amount is $300. Send withheld taxes to the IRS or state revenue service according to instructions.